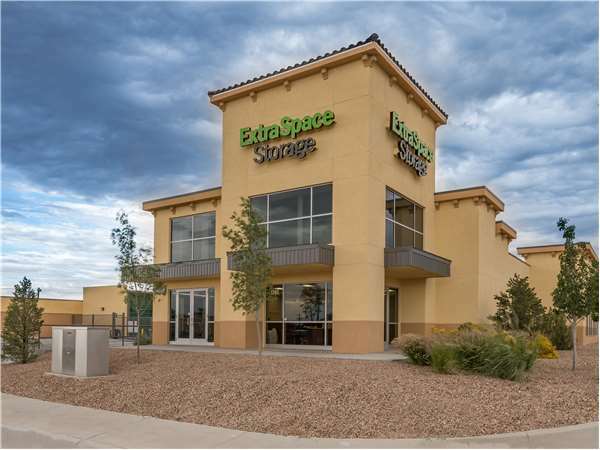 Located on Camino de Jacobo near the intersection of Airport Rd and Cerrillos Rd, Extra Space Storage serves Santa Fe residents near Agua Fria. Locals will recognize our facility near Target, DoubleTree by Hilton, and Regal Cinemas Santa Fe 14. With a large selection of storage units, climate-controlled storage, vehicle storage, and exceptional security, Extra Space Storage on Camino de Jacobo is the solution for you in Santa Fe! Our Santa Fe storage facility offers units ranging in size from 25 square feet up to 300+ square feet, so we can handle storage needs of all sizes. We also have units with indoor access, drive-up access, and more. By utilizing advanced security measures like an on-site resident manager, 24-hour video surveillance, and electronic gate access at our Camino de Jacobo location, we provide peace of mind for our customers. Protect delicate items from extreme heat year-round by renting a climate-controlled storage unit! These units maintain a temperature between 55? and 80? degrees, preventing damage to your belongings. Need to store a vehicle in Santa Fe? Extra Space Storage offers enclosed drive-up storage units that can accommodate cars, motorcycles, and more! At Extra Space Storage, we strive for reliable self storage with exceptional service. Our friendly, professional staff truly cares that you have an excellent experience with us, and they'll go above and beyond to ensure your needs are met. Contact us today to reserve a storage unit in Santa Fe! Facility super clean, employee's are very friendly and helpful. At the intersection of Airport Rd (Rt 284) and Cerrillos Rd (Rt 14). Across the intersection from Santa Fe Place Mall. Take Cerrillos Rd (Rt 14) South towards I-25. Make a right onto Airport Rd. You'll see the Santa Fe Place Mall on your left across the intersection and Extra Space Storage on your right. Make your first right onto Camino De Jacobo. You'll see our office on your right. Take Cerrillos Rd (Rt 14) North going into town. Make a left onto Airport Rd. You'll see the Santa Fe Place Mall on your right at the intersection and Extra Space Storage on your left across the intersection. Make your first right onto Camino De Jacobo. You'll see our office on your right. Take Rodeo Rd (Rt 300) west towards Santa Fe Place Mall. At the intersection of Rodeo Rd, Cerrillos Rd and Airport Rd, go straight through the intersection. Rodeo Rd becomes Airport Rd. You'll see Extra Space Storage on your right past the intersection. Once through the intersection at Cerrillos Rd, make your first right onto Camino De Jacobo. You'll see our office on the right. Take Airport Rd (Rt 284) East towards Santa Fe Place Mall. At the intersection of Cerrillos Rd and Airport Rd make a U turn. You'll see Extra Space Storage on your left before the intersection. Once you make the U turn, make your first right onto Camino De Jacobo. You'll see our office on the right.